The Florida High School Athletic Association (FHSAA) is the governing body for high school athletics in the state of Florida. It sets the standard for high school sports across the state and is made up of different state classes which consists of regions and districts. For example, in football there are eight state classes with hundreds of football teams within the regions and districts. The Sunshine State Athletic Conference (SSAC) was originally formed in 2008 as an alternative to the FHSAA for independent football programs searching for a level playing field and competitive contests while also complying by the rules of the FHSAA. The SSAC is composed of over 30 schools competing in football alone and they have divided the conference into two leagues and six divisions, for the 2016 season. 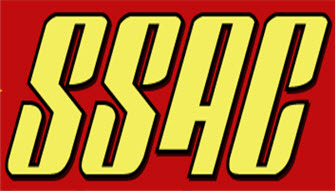 In 2011, a group of like-minded coaches and athle tic directors from Southeast Florida set out to investigate the formation of an additional independent high school football conference similar to the SSAC. 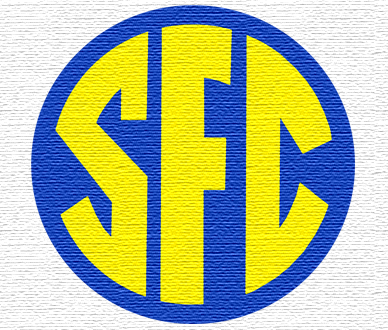 Thus the Southeastern Football Conference (SFC) was created, and today is made up of 16 teams. 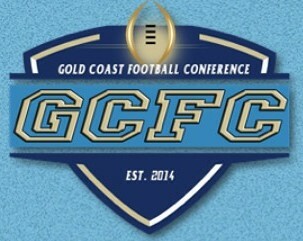 Three years later in 2014, with similar goals in mind, the independent Gold Coast Football Conference (GCFC) was created. Currently the GCFC is made up of six teams that also decided to withdraw from the FHSAA: Key West High School, Archbishop McCarthy, Coral Glades, Inlet Grove, North Broward Prep and Pembroke Pines Charter. In the state of Florida, there are currently five independent conferences, the largest being the SSAC. The purpose of these independent conferences is to allow teams to be more competitive by playing against squads with similar talent.The SSAC, SFC and the GCFC have their own separate league in which they battle it out on the field for a conference title. Each conference has its own postseason and a conference champion is determined after the playoffs are completed.There are approximately 78 high schools among the five conferences that compete in independent football. “It was based off the idea of an independent football team where they really didn’t have anything to play for. There are about 78 independent football schools in the state of Florida and to me it just made sense to come up with a format that would create postseason all star games as well as a bowl series,” said Mike Higgins the Executive Director of FLINCA™. The Florida Independent Coaches Association™ (FLINCA™, flinca.org) was launched, in January 2016, for the exclusive membership of high school football coaches that participate in the independent football conferences throughout the state. The Association was built on the concept of filling the specific needs of the ever growing number of schools that are joining the independent football conferences statewide. “As we continued to talk about it, I figured there were enough schools to have a bowl game of some sort. But right now, it’s just a discussion. I really want to find out how other schools feel about it,” said Higgins. FLINCA™ will provide high quality football coaches’ clinics, job opportunities for a growing independent conference industry, All Star Football Games statewide, format for postseason play and a yearly Florida Bowl Championship™ (FBC™). Additionally, FLINCA™ entered into a comprehensive media partnership with High School Programming Network™ (HSPNSports.com) for the live streaming and digital presentation of the postseason FBC™ and All-Star Games. “That part hasn’t been fully worked out but I think what HSPN brings to the table (beyond the media partnership) is possibly the experience of a governing board for the association,” said Higgins. The first All-Star games are expected to be held this upcoming 2016 season, while the first FBC™ will be held in 2017. Currently, Higgins is discussing the idea and finding out who wants to get involved. “We would like to do something this season. Maybe start with all star games. What we would really like is input from other coaches and other athletic directors. I am just one voice and I would be interested to find out what the interest level of something like this would be. I want to start a discussion about this topic since we now have the platform to plug them in,” said Higgins. “This in no way has anything to do with replacing the FHSAA. We would still, as schools, be members of the FHSAA and abide by their bylaws and rules. It would be an opportunity for conference champions to possibly play each other in bowl games and play beyond the regular season,” said Higgins.